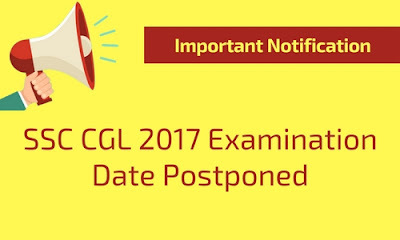 According to a new notice from SSC, the CGL 2017 examination would be from 5th August, 2017 to 24th August 2017. Earlier it was from 1st August, 2017 to 20th August, 2017. There will be no exam on 7th , 13th , 14th and 15th August, 2017.